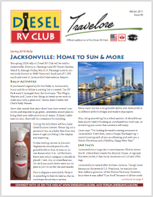 Click on one of the images below to access the format of your choice. 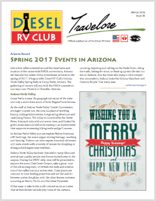 Clicking on Flipbook will open a new page in your browser and allow you to see the newsletter and flip from page to page. 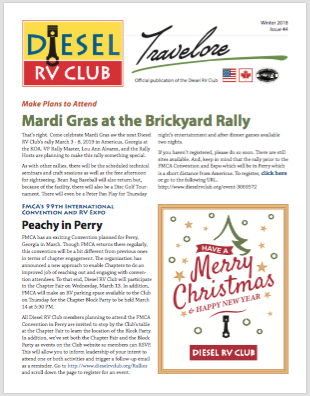 Flipbook format is compatible for display on portable and smart devices. 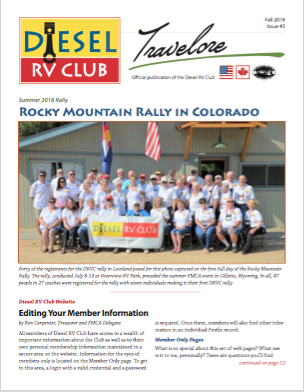 Clicking on PDF may open the newsletter in your browser or download it to your computing device depending on how it is configured. 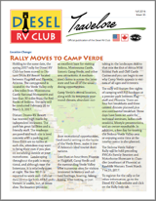 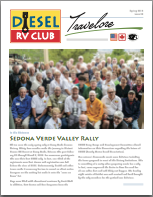 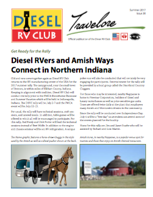 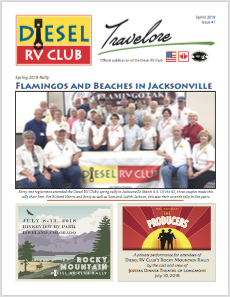 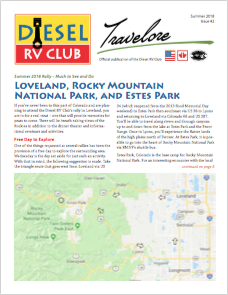 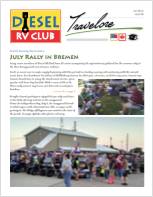 Inside the Winter Edition of Travelore, the Official publication of the Diesel RV Club, is now available to download as a PDF or view online in Flipbook format.